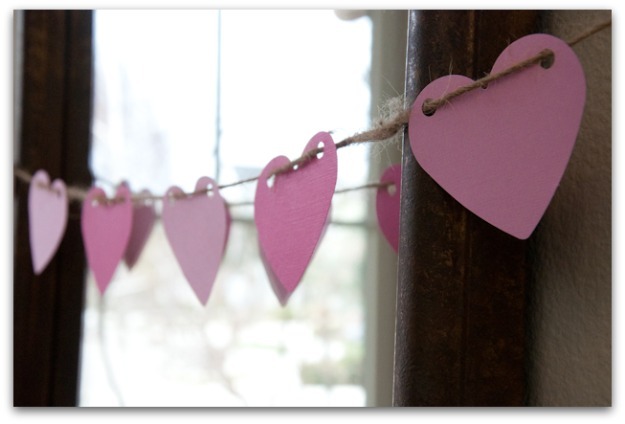 Why not make your own Valentines Decorations and transform your house, room or party. We’re going to have a little Valentines get together and spread some love and my little girl and I love an excuse for a party! 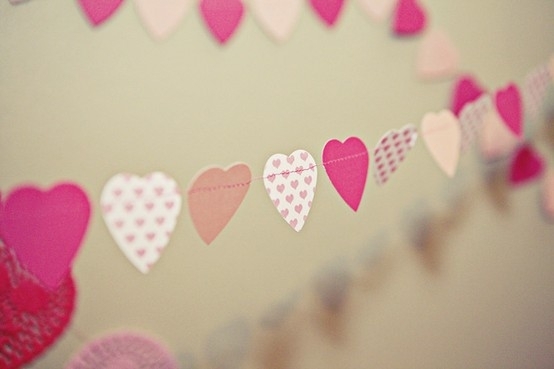 We’re going to hang heart paper garlands. These are so easy to make with just some coloured paper (pink and red of course!) and stitch them together using a sewing machine – or you can punch holes in them and thread them onto string like bunting. 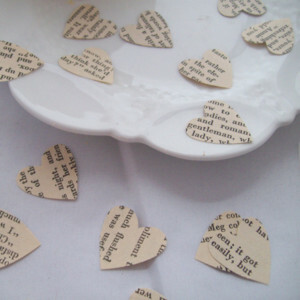 We’ve also got some plain paper lanterns left over from another craft project so we are definitely going to be covering them in hearts and with the use of a heart paper punch we’ll be making confetti, from old books to decorate the table – this looks so romantic. You can of course buy these items if time is of the essence and I’ve put some links below to hopefully make this easier for you. 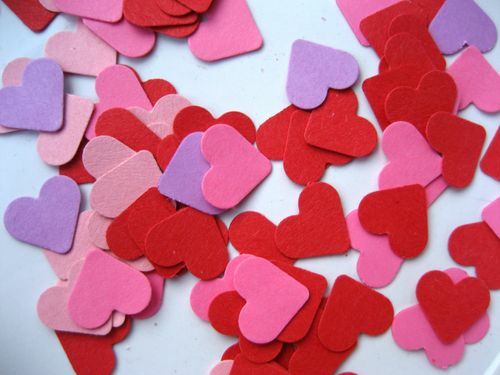 Heart Table Confetti only 88p. Hanging Paper Lanterns £4.80 for a pack of six. Buy them plain and decorate them yourself. I am just about to make a jar full of ‘101 reasons why I love you’ for JC and have the heart confetti to add to it (paperchase do it atm). I started one with a note about every nice thing that happens and the idea is you read the 365 ‘gifts’ from the year as you start the next.